One of the world’s greatest hot spring areas, the city of Beppu sits on an open bay on the southern Kyushu island of Japan. 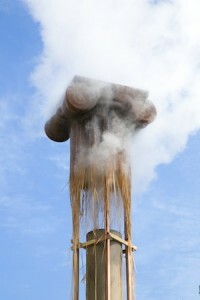 It’s a surprising place – as you approach you see plumes of steam rising from the onsen districts dotted around the city. Closer to the sources, you navigate through a fog of steaming pavements and alleyways, past heavily encrusted pressure contraptions that channel the boiling springs. The health-giving properties of Beppu’s hot springs are well known to the Japanese and the city is also often viewed with nostalgia as it was a popular 1960s honeymoon and holiday destination. But these days it is showing a different – and equally surprising – face to the world, taking the conviviality of the traditional bathing scene into an edgy contemporary arts project. The Beppu Project started in 2005 and is committed to a belief in creativity as the resource for the future. 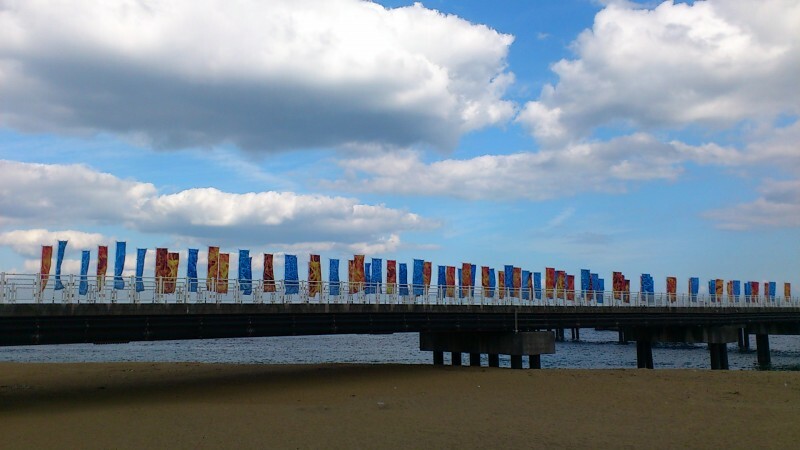 It has helped develop the infrastructure and programme for arts and culture in the city, embedding an impressive range of arts events into the lives of its citizens. 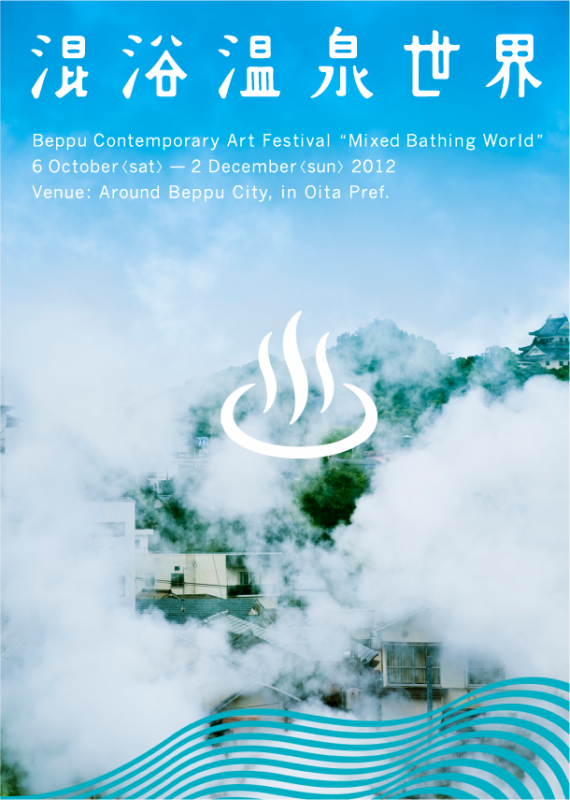 The most visible international aspect of the Beppu Project is the triennial contemporary art festival Mixed Bathing World recently held in October/November 2012. Executive producer Jun’ya Yamaide has a strong vision for the event which brings internationally renowned artists into a face to face connection with local people. Creating a convivial atmosphere in which art, food, conversation, life and laughter mingle is the most important factor for Yamaide and revives the traditional culture of the hot springs. Focused on eight projects in visual arts and dance, Mixed Bathing World connects to the city’s famous eight geothermal hotspots. It also has the advantage of imposing a manageable scale that fits the local context and audience needs. The artistic director has no desire to emulate the scale of huge art biennials and triennials in Japan and elsewhere. “We want to make beautiful ideas reality” is Jun’ya Yamaide’s credo and taking the Beppu audience on the journey of connecting with the art is closely integrated into this vision. The 2012 triennale featured works by Christian Marclay, Ann Veronica Janssens, Shilpa Gupta and Qiu Zhijie among others. One of the Mixed Bathing World 2012 projects which reflected this spirit particularly well was the street performance project by choreographer Yoko Higashino, composer and sound artist Toshio Kajiwara and other associates which transformed an entire shopping arcade into a theatre space. The artists worked in Kusunokiginten-gai, once Beppu’s top shopping destination. As in other Japanese cities, 1950s arcades have gradually lost their central role and the Beppu arcade now has many closed down shops. The project used recycled waste materials (old car parts, washing machine components and other industrial debris) to create stage sets and furnish empty shops. A former school uniform shop hosted an oral history project that collected and broadcast old dance music from the 1950s and 60s, awakening memories for passers-by. Dance workshops involved professional and local amateur dancers from five to eighty years old and a final performance 'Void the Fill' took place in the arcade. Higashino and Kajiwara, with experience of other public art projects in Japan, commented: “this project has been very satisfying and inspiring for us because it has given us time to really engage with the local community. We found an elderly man with a huge collection of tapes and records from the 1940s onwards.” Beppu Project’s International Affairs Coordinator, Marianne Bevand, said that the project required delicate communication with local users of the arcade since interventions in public space in Japan must ensure proper respect. She knew they were truly accepted when local people started making cushions and fittings to soften the hard-edged post-industrial aesthetic created in a refurbished shop. Elodie Dornand and Seung-Hwan Oh (France/Korea) propose an ephemeral course using paper graffiti realised on the streets of Beppu city, including some half-real, half-fantasy portraits of inhabitants. The art work will open new ways across the city where the audience might discover a secret art work (small, intimate-scale graffiti in narrow alleys, inside onsen, on a street corner) or large-scale graffiti visible from far away (huge drawings stuck on a building wall, or a bridge). Christophe Rault and Silvain Gire (France), founders of ARTE radio, the online radio of the French-German TV channel Arte, propose a narrative course. Silvain will write a fictional scenario inspired by his experiences in Beppu. Christophe will record, mix and edit the sounds of voices and noises of daily urban life and nature... The audience will then be invited on a radio journey, a way to experience short modern fictions, intimate stories, funny and poetic, through the city. 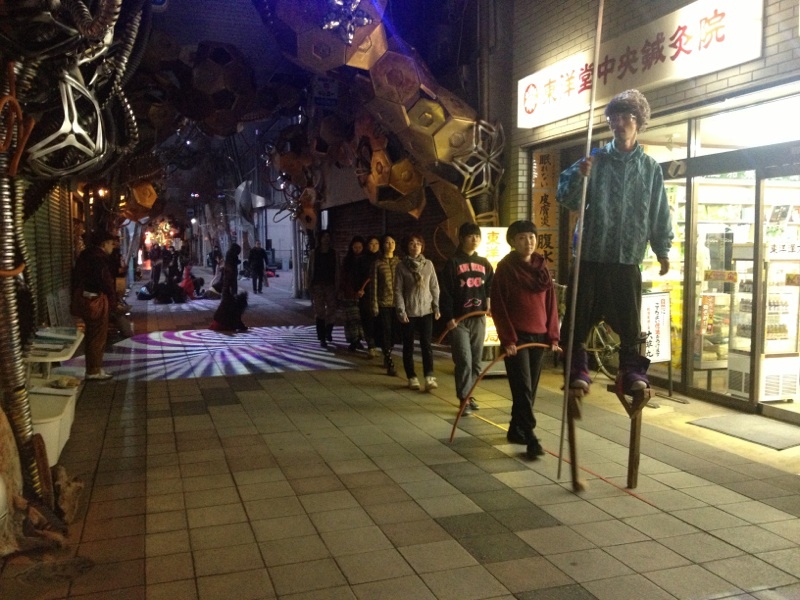 The annual Beppu Art Month connects the grassroots arts activity of the city with the international level, providing an umbrella for some 150 events in 2012, including exhibitions, pop-up design shops, community dance activities and arts education work. A shop sells Beppu-made art and design products and the renovated former strip-club which hosted the 2012 golden night project offers theatre space for future performances. 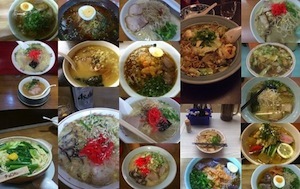 An interesting aspect of the arts activities in Beppu – observed elsewhere in Japan but rarely part of European arts projects – is the strong link between arts and food. Food culture is well integrated into arts and culture projects here. In the Mixed Bathing World programme, interviews with the international artists sit alongside tantalising photo essays about Beppu’s food specialities, featuring the proprietors and customers of its many restaurants and cafés. A key part of the autumn arts programme was the pop-up cafés, providing delicious pit-stops around the city for arts visitors. Also under the direction of Jun’ya Yamaide, the Kunisaki Art Project started in 2012 in the nearby rural peninsula. A beautiful, isolated area with strong spiritual traditions, Kunisaki is known as a ‘power place’ with a traditional annual festival based on the appearance of a shamanistic-style oni – the Stranger. In 2012, two internationally renowned Japanese artists directed artistic projects: visual artist, Naoki Ishikawa undertook a photography commission and exhibition documenting the amazing landscape, inhabitants and traditions; while stage director, Norimizu Ameya, presented a story-telling performance, involving local teenagers, through a bus tour in the region. The bus tours were an extremely popular way to visit Kunisaki Art Project and were hugely oversubscribed every weekend. 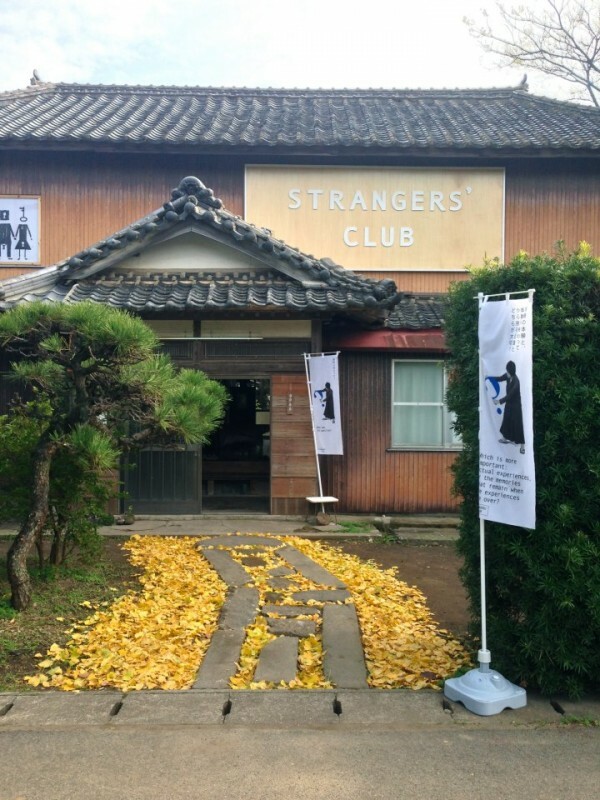 In the region, an abandoned village building has been renovated as the ‘Strangers Club’, designed as a communication centre where artists from Japan and around the world can meet with local people in Kunisaki and exchange ideas. Used as a café and gallery during the art project, this is now a public space to be enhanced by the creation of a ‘Sleeping House’ and a ‘Thinking House’ in years to come. In February 2013, the traditional oni/Stranger festival is accompanied by a contemporary art project with Yoko Ono curating an exhibition of commissioned chairs. So step outside the mainstream arts circuits to discover surprising art connections in Beppu and Kunisaki – and while you are there, check out the rest of Kyushu. It’s definitely worth the detour!